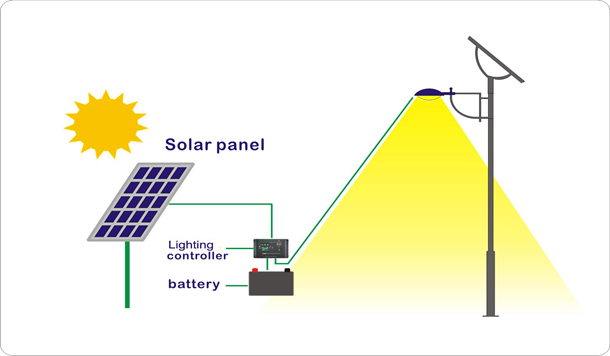 Solar controller – At it’s simplest form, the intelligent controller turns on the lightwhen the presence of light is no longer detected. However this controller can be programmed to various operating profiles to optimize your lighting project and ensure that the light is active when you need it most. Batteries – These may be AGM or Lithium based systems. The energy from the panel is stored in these cells until it is needed to power the light. Light Fixture – Light fixture, or head, consists of one or more LED bulbs. LED’s are far more efficient than standard HPS bulbs used in most streetlights. LED lights provide much higher lumen output per watt of energy consumed making them far more environmentally responsible. We have perfected a process of creating top quality custom solar powered street lights that will work perfectly for your project. Start your FREE initial consultation now!